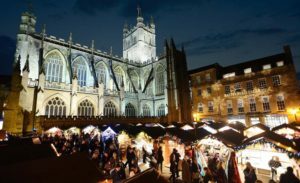 The Bath Christmas Market had to be first on our list, as it is truly one of the best events in the holiday calendar! There is entertainment for the kids and choirs and brass bands, as well as over 160 little chalets selling unique Christmas goodies. Over 80% of the stallholders come from Bath and the South West, which is great! We love supporting other local businesses. The Christmas Market will be held from 22nd November to the 9th December. Christmas at the Palace. 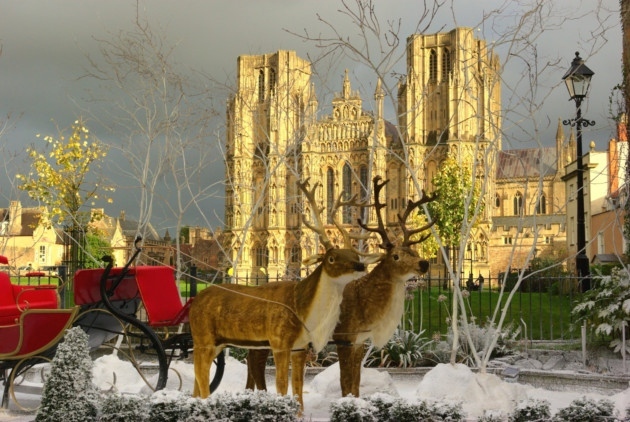 The Bishops’ Palace in Wells is always a must do during the Christmas period. From the 8th through the 22nd December, the historic rooms of the Palace buildings will each be decorated in a different theme. Enjoy a roaring fire in a Medieval setting and beautifully hand-made Victorian style decorations, many of which will be sourced from the Palace Gardens. For extra festive cheer, Christmas trees will be lit around the Palace. On the first weekend of the event (7th – 9th December), Christmas at the Palace will be enhanced by “Deck the Halls” a Winter Flower Festival with the NAFAS South West Area Competitions. Enjoy hands-on floristry sessions, festive floral displays and the chance to see some truly beautiful floral art. Dunster Castle is one of our favourite National Trust sites in Somerset. 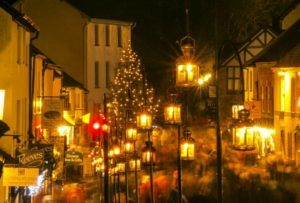 Every year, Dunster by Candlelight takes place on the first Friday and Saturday in December. See the stunning castle and its rooms dressed for Christmas, as well as entertainment such as flaming swords, carolers, and medieval re-enactments! Dunster by Candlelight is taking place on December 7th and 8th. If pantomime is one of your holiday traditions (it’s one of ours! ), head down to Bristol. From the 21st to the 30th of December, The Bristol Improv Theatre will be putting on both family friendly and adult only pantomimes. They take your favourite characters such as the beautiful girl and the evil villain, and improvise the rest! 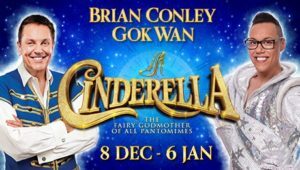 At the Bristol Hippodrome, this year’s pantomime will be Cinderella, starring Brian Conley and Gok Wan. Family friendly and including captioned and signed performances, Cinderella will be performed from December 8th to January 6th. Finally, if that wasn’t enough festive fun, we would also recommend taking some time to go to the Museum of Somerset in Taunton. There will be a Santa’s grotto, a Christmas market, and on the 18th of December there will be a musical history of Christmas from the Middle Ages to the 20th century, through Christmas music, songs and carols. Whatever you get up to in this holiday season, we hope that you keep warm, safe, and most importantly, stay merry! ← Autumn Offer at The Old Stables!